Forest Grove Dentist. World Class Smiles! by the Portland Monthly Magazine for 9 consecutive years - Thank You for your vote of confidence! When you visit our office in Forest Grove, your smile is our top priority. Our entire team is dedicated to providing you with the personalized, gentle care that you deserve. Whether you are just looking to establish with a new Forest Grove dentist or interested in cosmetic dentistry (teeth whitening, veneers and full mouth restorations), resin fillings, crowns, bridges, endodontics, oral surgery, invisalign, dentures or having a dental emergency (toothache), we are here to help. Convenient location for patients living or working in Forest Grove, Cornelius, Banks, Gaston, Hillsboro, Yamhill County and McMinnville. Dr. Martin Burbano is a professional dedicated to Excellence in General, Family, & Cosmetic Dentistry such as Dental Makeovers, Porcelain Veneers, Teeth Whitening, Crowns/Caps & many other dental procedures. 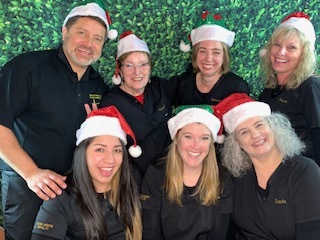 Please come and visit Forest Grove dentist, Dr. Martin Burbano.